« Is There A Zynga Bump? The World Series of Poker brand had themselves a fine time over the last few days on different sides of the globe. Big names, new tournaments, and interesting results. The WSOP APAC is underway in Australia while the WSOP-Circuit at Foxwoods wrapped up their Main Event. Professional player Brian Piccioli captured the first ever WSOP APAC bracelet in a brand new event, something called the “Accumulator” at the Crown Casino in Melbourne. The tournament took reentry events to the next level, where players could not only enter each of the three starting days but could also play even if they had chips at the end of previous days. Whatever part of their stacks remained after Day 1A/B/C were combined and play continued on Day 2. Piccioli won they event with only his Day C stack after busting both A and B but worked it will for the $211,575 prize and gold bracelet. 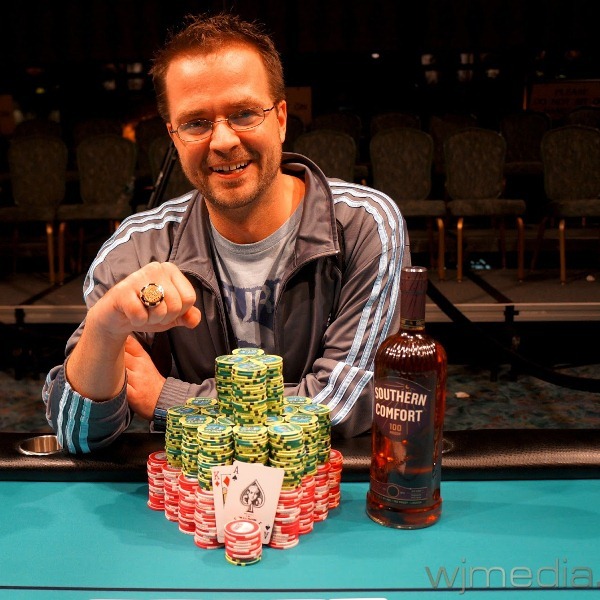 Long time professional and former online master Kevin Saul is the latest WSOP Circuit Main Event Champion. There were 615 entrees into the inaugural Foxwoods WSOP-C tournament and Saul made quick work of the final table to pick up his shiny new ring, the near $200k payday, and his entry into the WSOP National Championship coming up in New Orleans. History could be made later today when the WSOP APAC Mixed Event is played to a winner. Phil Ivey leads the final table with Daniel Negreanu right behind him. Ivey will be trying to capture his 9th WSOP bracelet while Negreanu is looking to break his 5 year bracelet slump to pick up his 5th. Tweet of the Day – Just because Hellmuth is halfway around the world in Australia, that doesn’t mean the internets can’t get their little taste of his wrath. Things don’t seem to be going well down under for the 13-time WSOP champion. Full Tilt Poker Ex-Chief to Plead Guilty – Ray Bitar, poster boy for Black Friday, reached an agreement with the US Attorney General’s office where he’ll pony up $40million but avoid any jail time as he’s in desperate need of a heart transplant. This naturally generated its own share of twitter jokes, mostly in bad taste. WSOP.com Real Money Poker Beta – Feel like test driving the first legal poker site in the States. Things aren’t quite to the point of the real deal but WSOP is offering up the chance to beta test their software and shake out the bugs. Closer and closer. East Falmouth man wins $10m in ‘poker’ game – The word poker is encased in well-deserved quotation marks but the headline still caught my eye. The Mass lottery created some bizarre luck of the draw, fake poker game that awarded a $10,000,000 check. You can’t win that kind of money in your local no-skill-to-win 2/4 limit game. Bet Raise Fold: The Story of Poker – The documentary previously known as BOOM from the minds of Jay Rosenkrantz, Taylor Caby and Ryan Firpo has been renamed and the new trailer is out.